Mentoring - The greatest thing we give each other is encouragement! 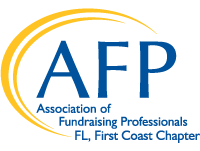 The AFP First Coast Chapter is excited to provide its members with the opportunity for one-to-one mentoring as a part of developing the best professional fundraisers. The Mentoring Program is designed to help new or less experienced development staff increase their skills in major gifts, planned giving, donor relations, annual campaigns, and much more! The Mentoring Program, a member’s only benefit, is one of the best tools we know of to strengthen and develop the fundraising profession. The Mentoring Program follows a cohort model, accepting new participants at the beginning of the year and continuing through that year. No new participants will be accepted after February 12, 2018 but are encouraged to apply in the 2019 cohort year. Past participants from the 2016-2017 cohort may choose to continue with their mentoring partner, apply for a new partner, or end participation in the program. Mentors are senior fundraising professionals who volunteer their time. They commit to approximately two hours per month to foster the developmental growth of their Mentees, assisting with specific fundraising and career issues. Mentees represent a wide range of experience, organization type and operational budget size. Mentees could include development directors, grant writers, event coordinators, prospect researchers, and others. To strengthen the skills of the Mentee and support professional and career development. To enhance the Mentor’s professional abilities through efforts in guiding, sharing and coaching. To foster collegial relationships between seasoned development professionals and novice development professionals.